This is a new collection in collaboration with a women's collective out of India. 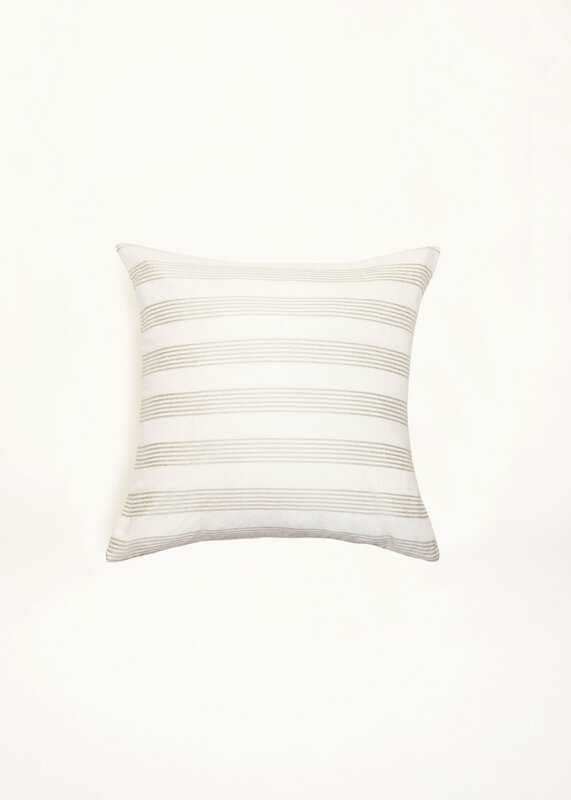 These linen pillows are carefully crafted with impeccable attention to detail. Each pillow is lined with a cotton lining to provide a little more structure for each cover. Please note these stripes are perfect for mixing and matching. They are the perfect neutral for any space. This pillow is soft yet dramatic. The front face is divided into 3 sections while the back is all horizontal stripes. This style is really a 2 in 1 pillow! The Charli style is a nice tight stripe that comes in all shapes & sizes. This style looks great in a larger scale pillow but mixes & matches flawlessly with the other styles. The Nori style is a bit more dramatic. This style looks great in all shapes and sizes!